It is the responsibility of the person organising the booking to understand, agree and accept responsibility for all booking conditions, including all payments due by specified dates. By proceeding to pay a deposit, you accept that you are entering into a contract and you agree to be bound by these conditions. Immediate payment of a non-refundable and non-transferrable 50% deposit is required before a date will be held. Any deposit paid is deducted from the final balance and is not an upfront payment for trials. Trial costs are due at the time of the trial, or prior. The remaining balance is due 1 week before the wedding day. Should no payment be received we have the right to cancel all services for your wedding date and all fees will still be payable. Ref: Bride’s full name and wedding date. Please email a bank receipt to: grace@goodnessgraciousbeauty.com.au If a member of the booking cancels their makeup service once the deposit has been made, the balance will remain the same. You have the option of replacing them with someone else. All trials are to be done in the salon by appointment only. It is compulsory for the bride to have a bridal trial. A trial is recommended but not imperative for every member of your bridal party. Without a trial we will not accept responsibility if a desired look does not meet expectations on the wedding day and a refund will not be offered. We reserve the right to cancel a booking following a trial, without a refund of the deposit, in circumstances where there is a mismatch in styles, approach, expectations and/or the client is uncooperative, not open to suggestions or makes any member of our team feel uncomfortable. We strive to ensure that all participants are happy with the results of a trial before they leave however, In the unlikely event that you, or any of your bridal party, decide after your trial that you are not satisfied, you are asked to contact us immediately so that we can resolve the matter. Refunds, retrials, or cancellations without charges are solely at our discretion. 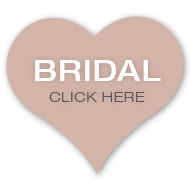 Please advise us prior to your wedding trial if you would like to try more than one style or if you would prefer extra time.